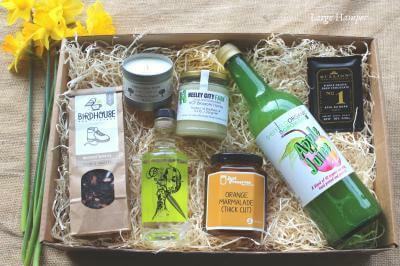 Tailor made organic boxes to suit your needs! Regather believes everyone should be able to afford decent food that supports local producers and doesn’t mess up the environment. 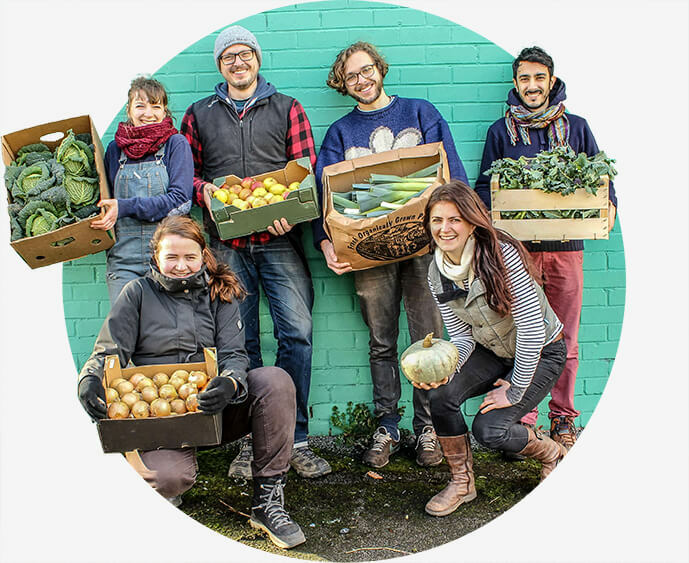 The Regather fruit & veg box scheme delivers the best local, seasonal, organic produce direct to homes across Sheffield and surrounding areas. Choosing from a selection of veg, fruit, eggs, milk and bread boxes, and weekly or fortnightly deliveries, you can tailor a box delivery to suit all your needs. 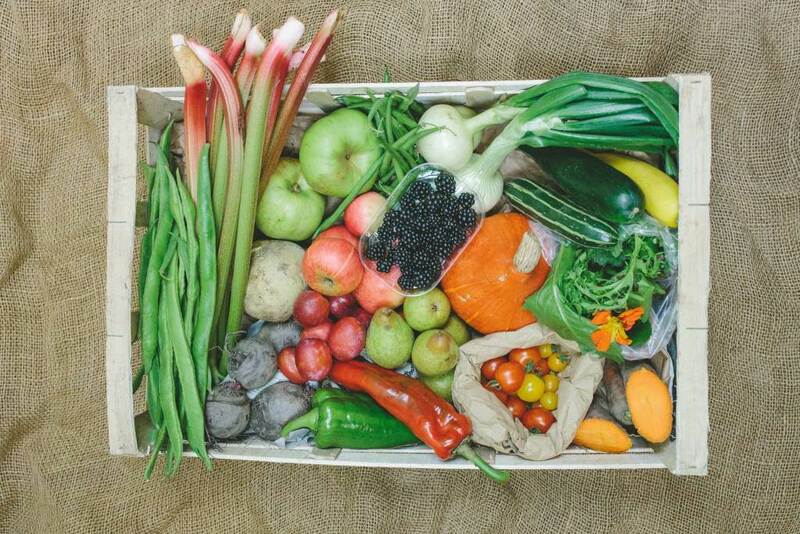 We source from organic growers based around Sheffield and in the summer months, you can enjoy 100% Sheffield grown produce boxes. It’s a great way to eat fresh and support local! We love the box and couldn’t live without it! Thank you very much for your wonderful service. We enjoy the regather box greatly with our family and I recommend it widely. Select an item to see more information. 1. Check that we deliver to you. We ask for some delivery instructions so that we can leave the box in a protected and safe spot if you are not home when we drop off the box. 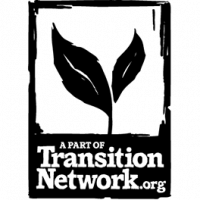 …choose which veg and fruit boxes will make up the core of your order. 1kg potatoes, 500g carrots, 500g onions, mixed salad, plus 2 more varieties. – Our Large boxes include as medium but with 5 more varieties. Choose from Extra Small (2 varieties), Small (3), Medium (4), Large (5) and Extra Large (6). *The varieties will change from week to week, reflecting changes in productivity and seasonality. Now decide whether you’d like a weekly or fortnightly box and think about any dislikes (or loves!) or allergies you might want to let us know about. We always source our produce from Sheffield and local growers where we can but buy in fruit and some veg from across the UK and abroad during hungry gaps. This is always Organic and never air freighted. You can choose the UK only option, which means we will try our very best to pack only produce grown in the UK all year round. Choose from a variety of Box Extras that can be added weekly, fortnightly, or on a one-off basis. 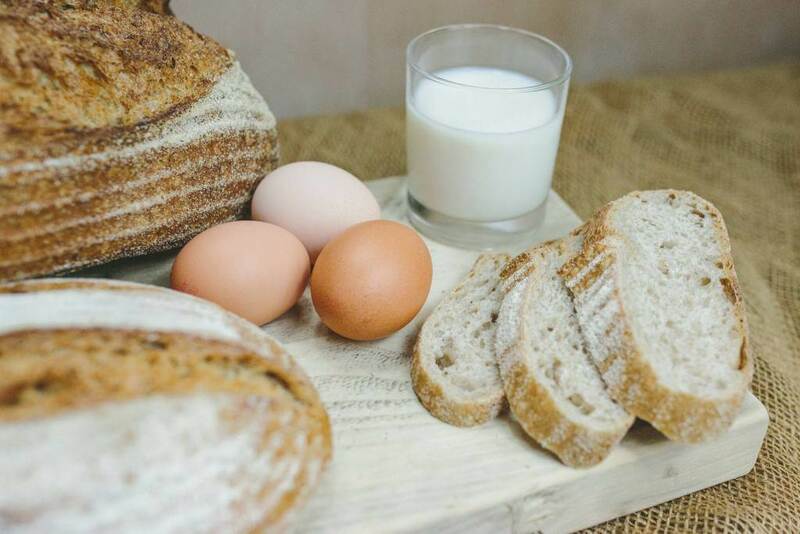 Add Organic Eggs, Organic and non-homogenised milk and fresh Bread from Sheffield’s Forge Bakehouse (bread not certified Organic). Other products include Birdhouse Tea, Twin Cafe Coffee, Regather Beer, and more. New products are added all the time. Your now ready to order your first box below. A full FAQ guide on how to carry out these functions can be found here. *Note that changes need to be requested by Monday at midday in any given week in order to be actioned for that week. Changes made after this point will only come into effect the following week.